Exterior lighting can be challenging to get right. 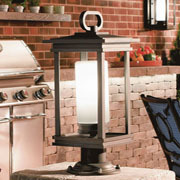 In order for outdoor lighting to be effective, it must accomplish several goals. 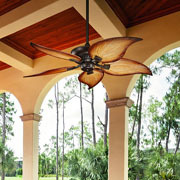 First, it must light up the outside of your home in a way that complements the design of the home and any special features of your landscaping. Second, it needs to provide enough light to provide a measure of security — you don’t want there to be pockets of darkness where criminals could hide. 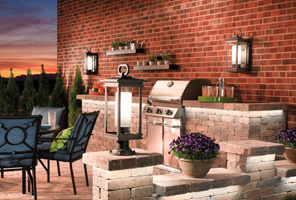 Third, if you’re illuminating a porch or patio where you spend time outside with family and friends, you need lighting that makes it possible for you to cook and entertain once the sun goes down. 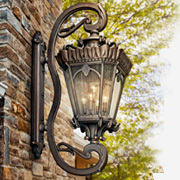 At Hobrecht Lighting in Sacramento, our lighting experts can help you find all of the outdoor lighting fixtures you need. 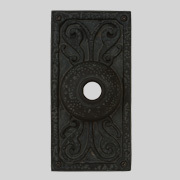 We offer our outdoor lights in an array of sizes, styles and price points so you can find lighting that will blend perfectly on the exterior of your home. Visit our Sacramento lighting showroom today to see our selection in-person. You never realize how important outdoor lighting is until you don’t have it. 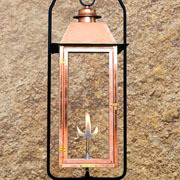 But outdoor lighting should serve more than just the functional purpose of illuminating your outdoor spaces. 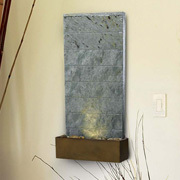 It should also be beautiful and attainable, which you can accomplish by mixing different types of outdoor lighting. 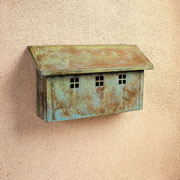 On top of outdoor lights, we also offer mailboxes, door chimes, fountains and other outdoor decors in our Sacramento lighting showroom. 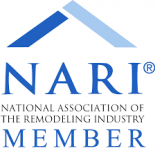 Ready to transform the exterior of your home with high-quality, optimal lighting solutions? 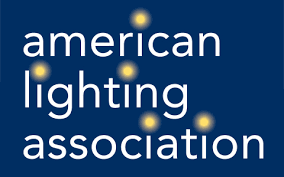 Schedule a consultation with one of our lighting experts today. 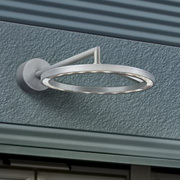 When you select outdoor light fixtures for your home or office, you want to ensure that you get the most out of each and every one. 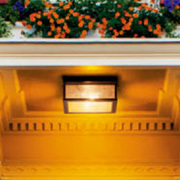 That’s why we’ve listed some of the best places to install certain outdoor lighting below. 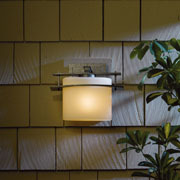 Wall lights: Ideal for patios/porches, entryways, doorways, garages and side yards. 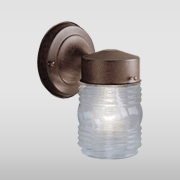 Post lights and pier heads: Ideal for back patios, walkways, driveways and side yards. 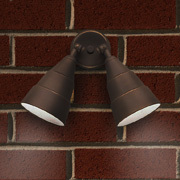 Security lights: Best placed next to walkways, driveways, garages, alleys and side yards. 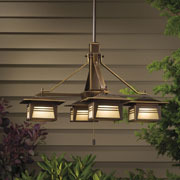 Ceiling/Hanging lights: Perfect for your porch and patio areas that have a ceiling or some type of overhead covering. 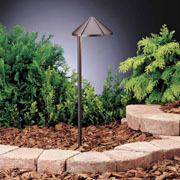 Landscape lighting: Best placed next to any landscaping features or gardens you want to illuminate. Still not entirely sure where to install certain lights? Feel free to ask one of our lighting experts while visiting our Sacramento lighting showroom! We’ll be more than happy to help. 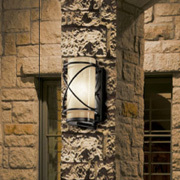 Are you ready to get outdoor lighting that will entirely change the exterior of your home or office in the best way? 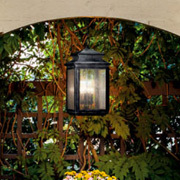 Shop outdoor lights and other lighting solutions at our Sacramento lighting store. At Hobrecht Lighting, we have a team of trained and experienced lighting specialists that can help you achieve any of your outdoor lighting goals. We’ve been connecting the local community with their ideal lighting solutions since we were founded by the Hobrecht brothers in 1909, and we’re always staying up-to-date on lighting trends so we can ensure we have the latest and greatest in our lighting store. For more information, visit Hobrecht Lighting today. You can also contact us by calling 916-238-6152 or by filling out our online form.